The Old Salt King of the Beach is perhaps the oldest, and absolutely the richest, Kingfish tournament in the United States. 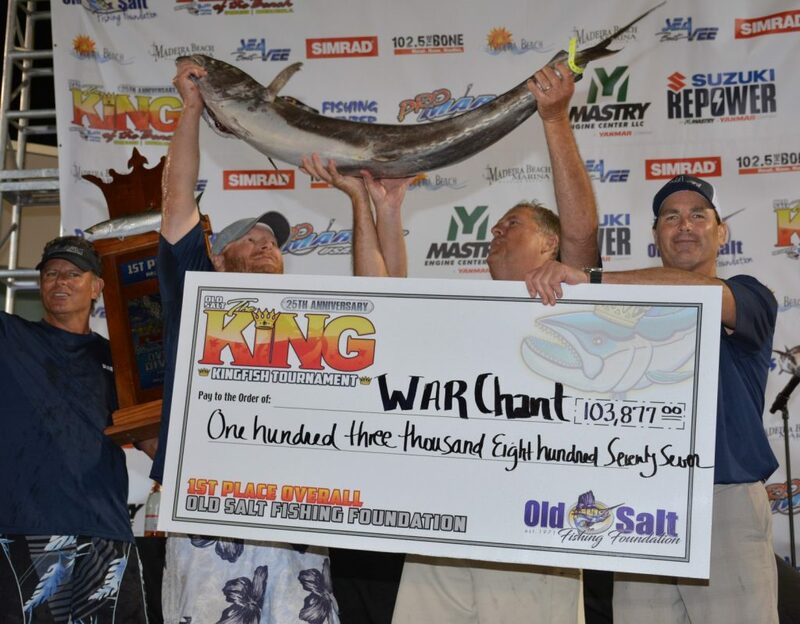 If you fish for Smoker Kings, you should be fishing the 26th Annual Old Salt SPRING King of the Beach Kingfish Tournament. 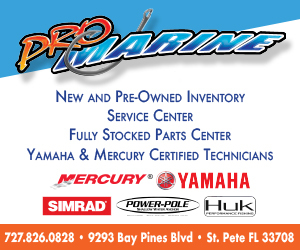 Held in beautiful Madeira Beach Florida, twice every year in the Fall & Spring when the Kings are running on Florida’s west coast, The King of the Beach Kingfish Tournament is host to competitive fishing teams from the S.E. United States and beyond. 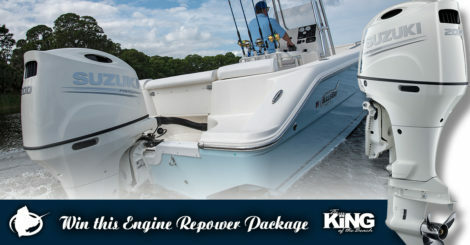 The Best Kingfish Tournament In The U.S.
With 30 mile boundaries, 6 divisions, 63 paid places and two rich TWT’s the King offers competitive opportunities for anglers across the spectrum. 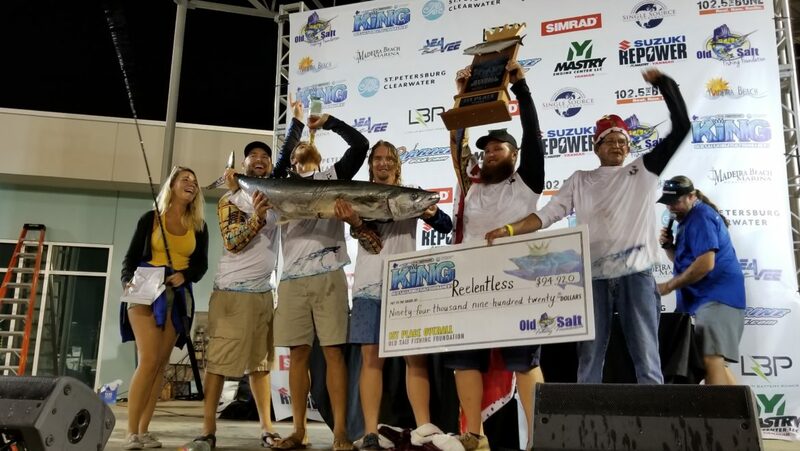 The total purse is $225,000 with 1st place ion the Overall (King Mackerel) Division paying a guaranteed $60,000. AND, the entry fee is ridiculously low… only $225 for Old Salt members and $255 for non members. Saturday starts with 1 day of fishing – lines in at 6am for followed by the weigh-in & awards ceremonies later that same day. 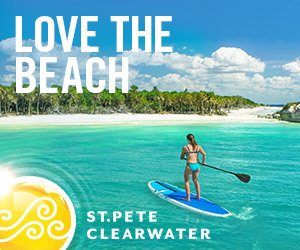 Top all of this off with the sunny, sandy, tropical paradise that is Madeira Beach, Florida and you have the perfect package. Come fish. Come play. If you’ve never fished the King. 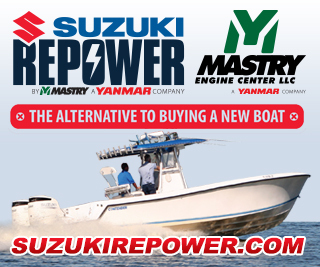 This is your chance to #fishbigmoney. If you are a returning team. Welcome Back. Tight lines. See you at the KING.